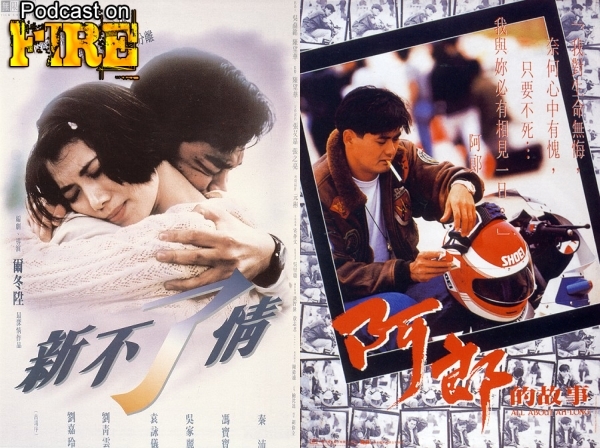 We’ve done Vampire, Jackie Chan and Gambling Season before but now for three episodes of Podcast On Fire, we look at a group of tear jerkers out of Hong Kong cinema. We open in 1993 the multiple award winner C’est La Vie, Mon Cheri, by Derek Yee. Also, Johnnie To directs Chow Yun-fat all the way to a Best Actor statue at the Hong Kong Film Awards in All About Ah Long from 1989. With Kenny B and special co-host Kevin Ma of the East Screen West Screen podcast and Asia In Cinema.